Hats for larger Heads ! A small to medium sized oval saucer in vibrant red sinamay. 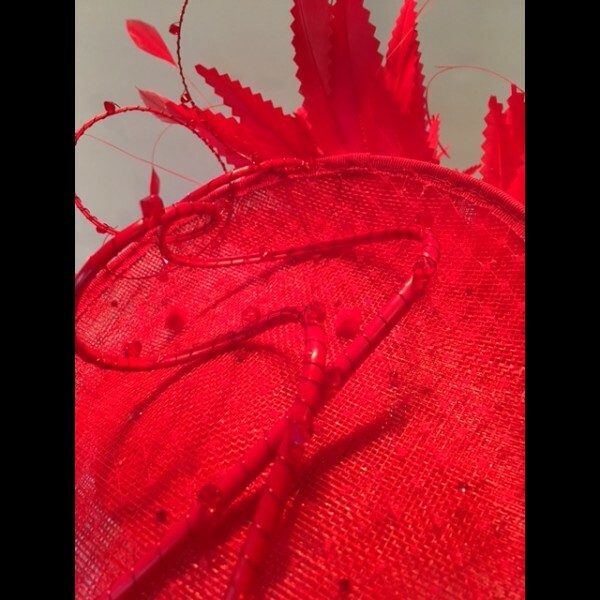 This headpiece is available to HIRE. A small to medium sized saucer (approx 10" from top to bottom) in vibrant red sinamay. 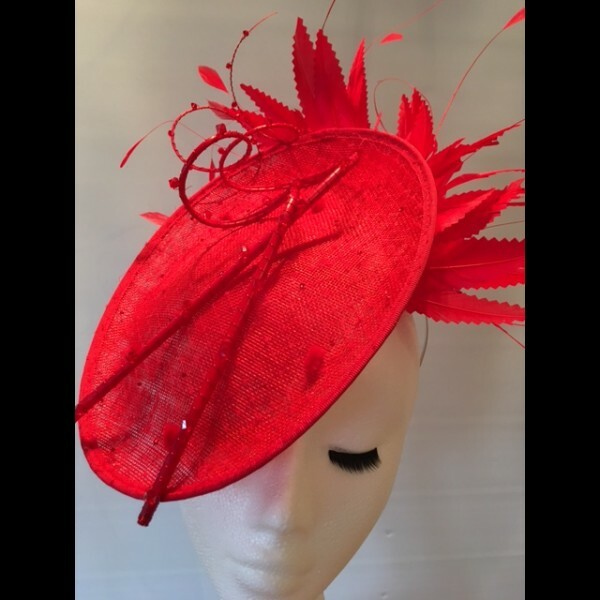 The upper side of the saucer is covered in toning red veiling which is dotted with Swarovski crystals. 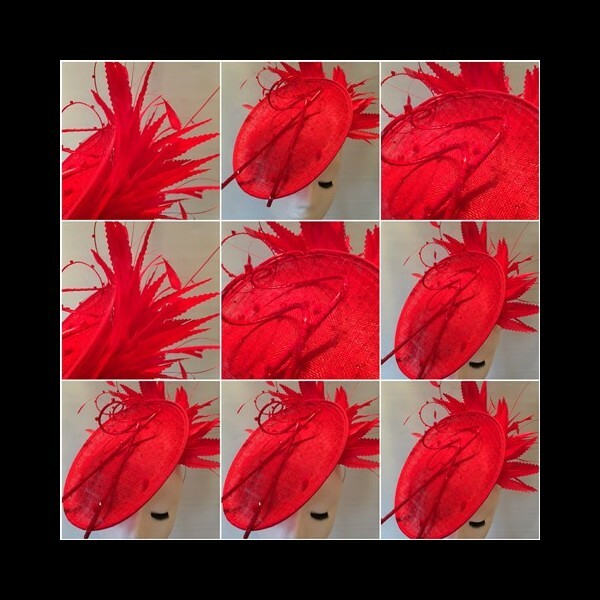 Two red hand curled quills twist across the top. 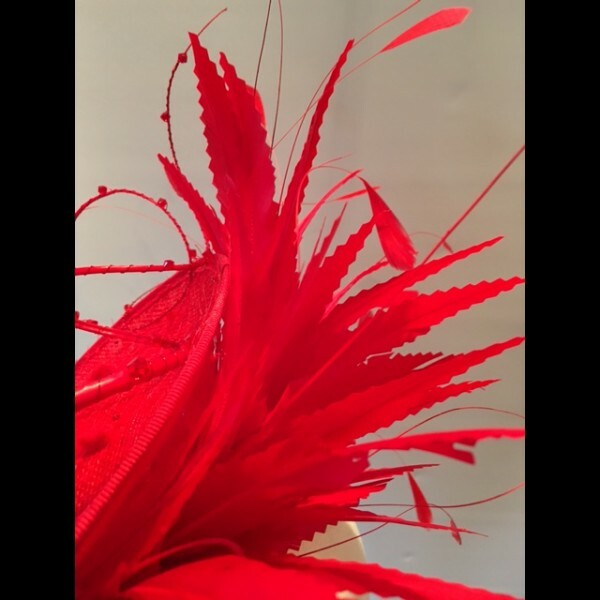 On the underside are toning red feathers. The headpiece is mounted on a discreet slim silver headband with a small comb for security. 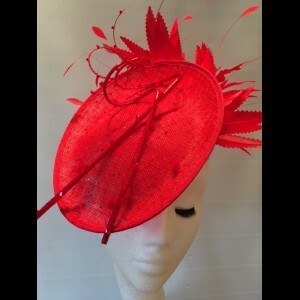 This style of headpiece is also available for purchase in a myriad of colours.